A Belated Happy Thanksgiving to everyone who celebrated it yesterday, and a more belated wish of the same to those who celebrated it in October. My guess is that more dishes are washed across the United States on Thanksgiving than on any other day of the year. And in honor of that supposition, here is an absolutely marvelous song-poem titled "Dance of the Dishes", from our friends at Tin Pan Alley, and led by the enthusiastic Lillian Mars, a record which is compilation worthy as far as I'm concerned. 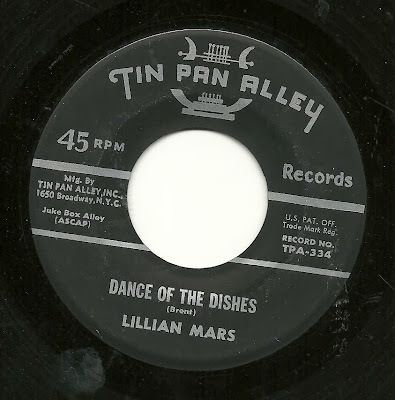 I don't know what it was about Tin Pan Alley - maybe the places that they chose to advertise? - but they certainly seem to have had more than their share of genuinely witty or at least humor-enhanced writers who took part in their little scam. This is a prime example - with everything from the fork complaining of not being able to dance, due to his "four feet" to the bewitching soup bowls - and the tiny three piece combo is lead by a pianist who is clearly having just as much fun as the vocalist is, with this material. A first-rate winner. 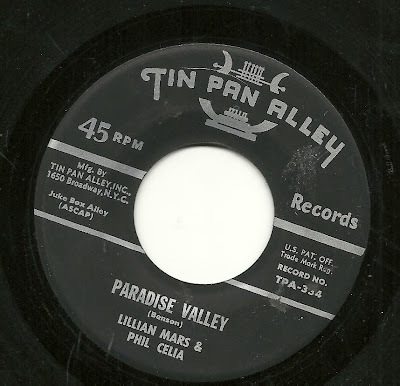 I do not, unfortunately, have anything so complimentary to say about the flip side of this disc, a turgid, badly sung number called "Paradise Valley", in which Lillian Mars is joined by label favorite Phil Celia. Today's post is for that subset of readers who are, like me, fascinated by the Halmark label. Because this is a Halmark record unlike any other I've seen. I suppose technically it's not even a song-poem record, but that's kind of the point. As indicated by the title of this post, I'm not sure how to categorize this record. What we have hear is a Halmark release, featuring a singer I've never seen credited on any song-poem record, Halmark or otherwise, first singing a song written by the owner of Halmark Records, Ted Rosen, and then on the flip side, covering a big hit single from a few years earlier. 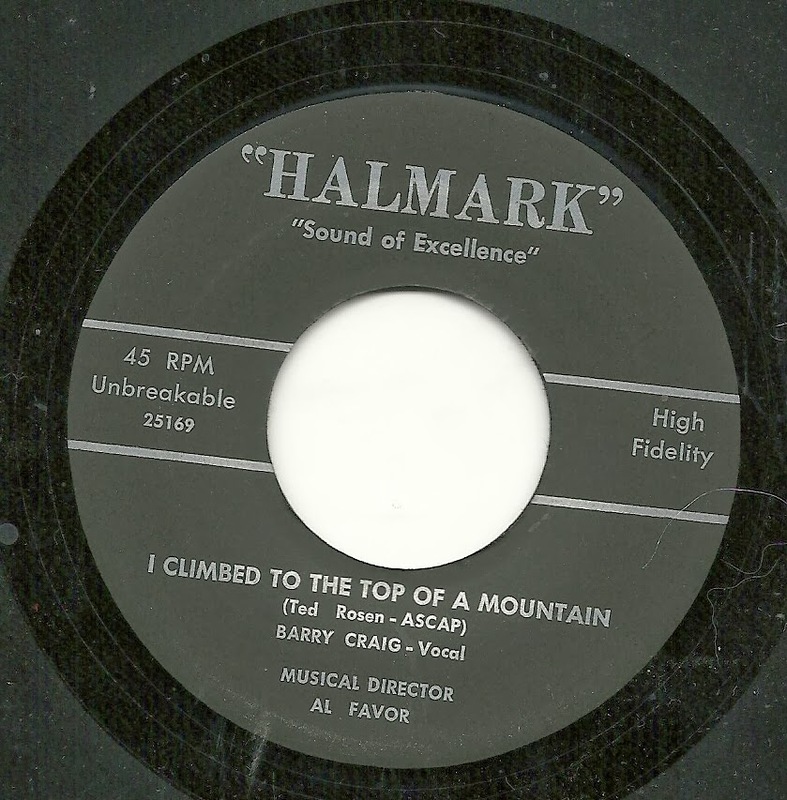 Ted Rosen often claimed co-composer credits with his song-poet customers, but AS/PMA shows only one other record (an acetate) with a song credited solely to Rosen as composer, and no references to Barry Craig. Were it not for the information on the label, though, I'd have thought this was just another Halmark release, as it would appear that Rosen was prone to the same sort of overblown language as his customers, and (presumably) that he was a fan of the flowery, out of date and sappy music that graced his other releases. The flip side is an equally big headscratcher. Identified only as "Phoenix" with absolutely NO author credited, this is actually a version of "By the Time I Get to Phoenix" by Jimmy Webb (not that you asked, but both the song and the songwriter are about as far away from my tastes as one can get). 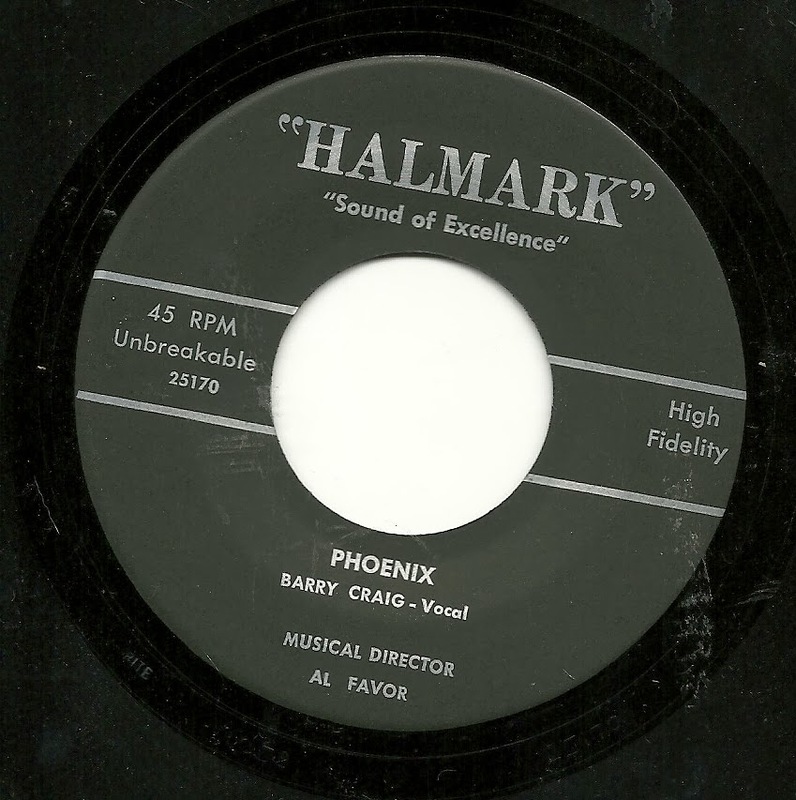 Curiously, as long time reader, correspondent and commenter Sammy Reed has pointed out, one of the backing tracks Halmark used from time to time was, in fact, a backing which perfectly fits "By the Time I Get to Phoenix". You can hear it used under the song "It's Not the World, It's What's In the World", which is item number five on this post. And well, whattaya know, here's that same backing track, employed in the recording of the song for which it was recorded! 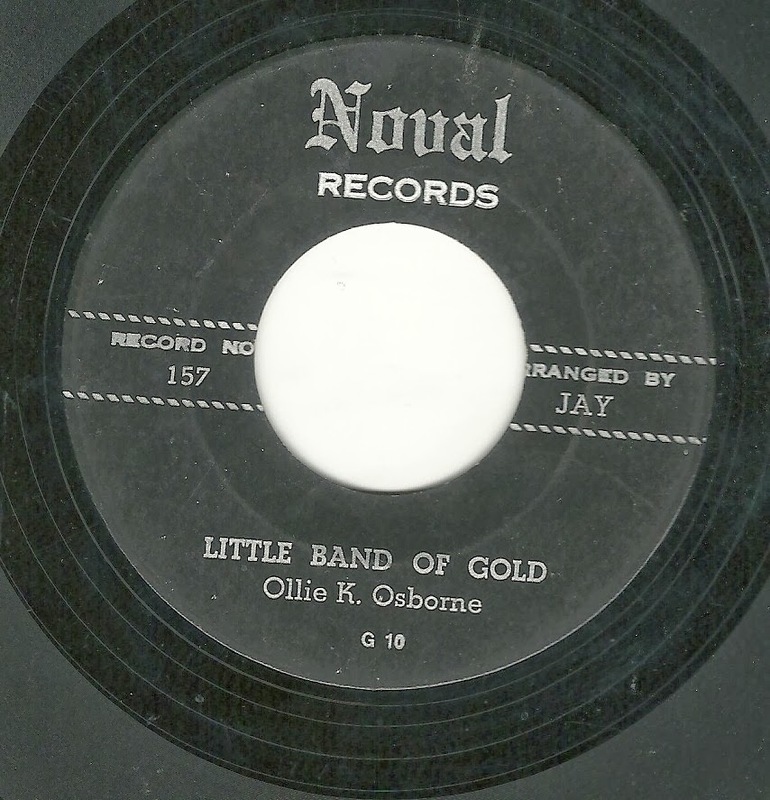 An oddball release from one of the oddest of labels imaginable! 2.) Was any customer EVER satisfied with the product the received from Noval? Given, that is, that virtually every record I've heard on the label features a singer who seems incapable of either staying on pitch or reading the melody on the page in front of him accurately. 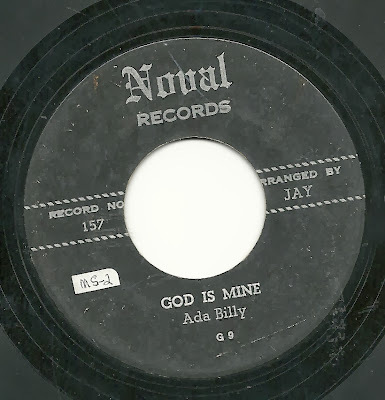 Today's feature, "God is Mine" is a perfect example of the latter question. This is the same guy, I think, who is on most of the Noval records I've heard, and he is thoroughly incompetent. Listen how he hesitantly pauses over the word "step" at the 32 second point, and then wavers on the long note just after that. And there's more than a little wavering on the last note. He also lands poorly almost every time there is a jump of more than a few notes up or down the scale, and generally seems to be unsure of where about half of the notes are supposed to be - the whole thing is just sung tentatively, as if he's afraid of stepping on a land mine. And it's not like this would be a difficult song to sing - it moves at a snail's pace, has simple words and stays within a rather small range. Add that all of that is on top of a dreary, deadly backing arrangement, and you have quite the song-poem pastry. 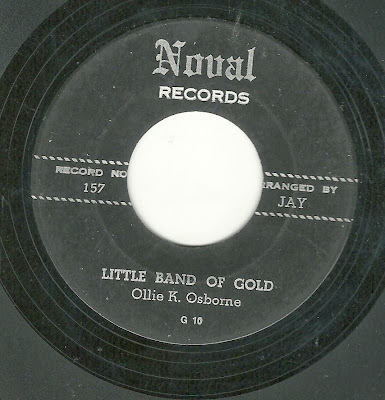 The flip side, "Little Band of Gold" is, at least, peppy, but the same problems continue. Right from the start, in the first two lines, the vocalist comes within striking distance of the melody at several points without quite getting there (I particularly like the notes on the word "message", and the complete breakdown of his reading of the tune on the title line) - despite the fact that the pianist is playing the notes of the melody behind him. I sure love that Noval label. Here's a really nice Film City offering from Rodd Keith, under his Rod Rogers persona. 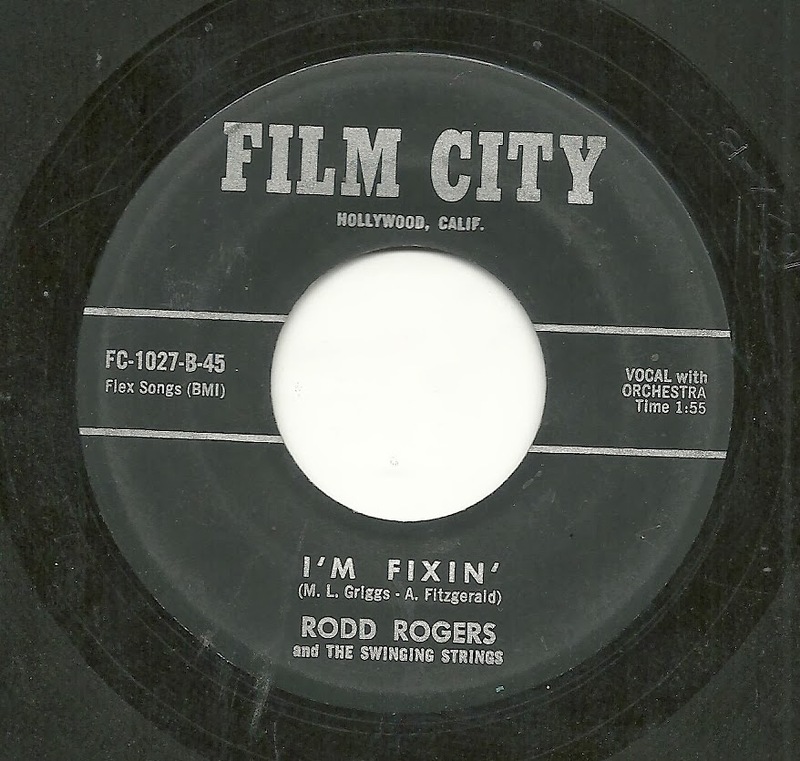 The better of the two songs and performances, to my ears, is "I'm Fixin'", a sweet lyric about getting ready to propose. In addition to the lyrics, Rodd's vocal is sublime, as well. But my favorite aspects of this record are the various voicings Rodd chose for the backing, particularly the expertly designed and played mock guitar solo right in the middle of the track, and the mock trombone that comes in at the end. I sure do love the Chamberlin - wish I had the money for one. But then, if I did, I'd probably never stop recording. Interestingly, this is the only single documented on the AS/PMA website where he combines his two most common names, with "Rodd" spelled with two d's, but "Rogers" as the last name. There may be others (there is at least one that I know of on a vanity label spun off from Film City. 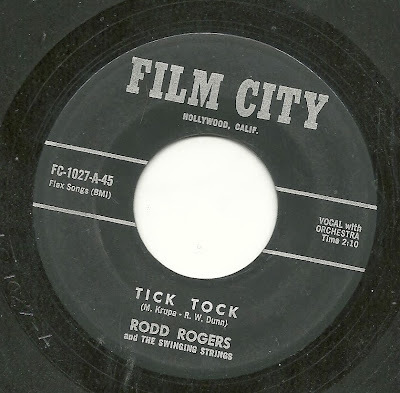 The flip side of this record "Tick Tock" is no slouch either, and again, Rodd used the Chamberlin to perfect effect for the lyric, what with the knocking sound effect tying into the title. Rodd's vocal here shines - there is something about his performances on Film City records that draws me in, in a way that the majority of his Preview releases don't - I suspect I'm in the minority there. Enjoy!